Do you know the term ‘burning platform’? It is change management jargon to describe the urgency of a situation to change our behavior. But what is the real meaning of it? 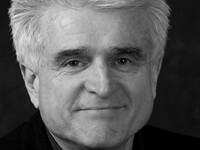 An interview with change management guru Daryl Conner. Recently the use of the term ‘Burning Platform’ is under fire because it implicitly refers to the active use of panic. For almost than 20 years practitioners have believed that ‘creating a burning platform’ is about the use of fear in order to create the sense of urgency. Turns out that this is a misunderstanding. It is more about commitment and courage than it is about creating panic and fear. Have a look at the first part of this interview. It is not about creating or exploiting a negative situation. Rather, it is about the level of commitment that is needed to get through a change. The burning platform does not refer to the energy that is needed to initiate change but to the commitment that is needed to sustain the change. Daryl Conner mentions the term ‘Business Imperative’: the thing that moves from organizational commitment to personal promise. This is what a business imperative is all about: the willingness to pay the emotional price of committing without being sure of succeeding. Have a look at the second part of the interview. His final advice is to treat the burning platform as exclusive. And the only way to do so is to be clear on our own intentions as an organizational change practitioner. Our role is to help our clients to make an informed decision.